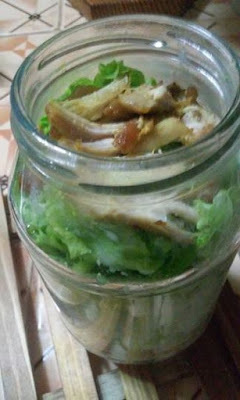 As I am a busy Mom who's always at home and yet, always occupied with lots of of things to do, I can't help but to find ways and means to manage my time well especially when it comes to cooking and preparing foods. I think finding ways to have healthy meals available anytime of the day has always been a challenge. There are times that I'm feeling hungry and wants to eat but I simply can't afford to go back to the kitchen and cook especially when I'm already super tired with all the household chores, and my evening classes are about to start. There are times, I would just resort to calling my daughter asking her to just buy something from a nearby fast food or restaurant on her way home from school. I know it's not wise to do that everyday, so I have to find ways to plan our meals ahead. 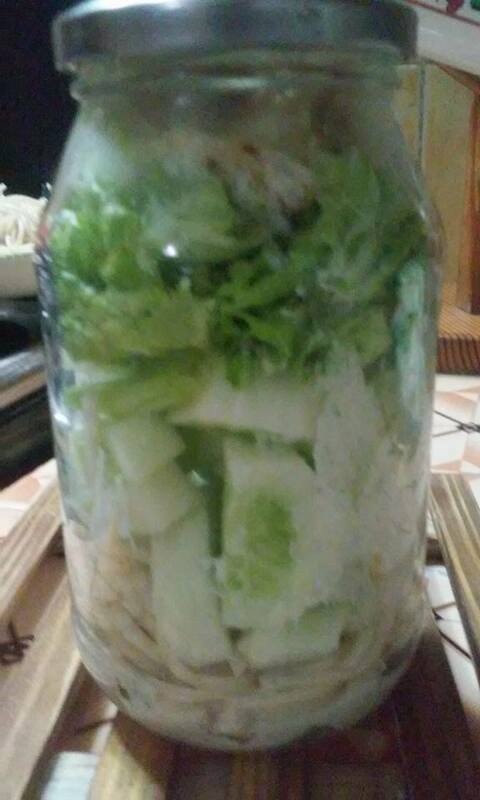 I have thought of preparing this pasta salad in a jar which I could keep in the ref for up to 3 days. The dressing should be placed at the bottom part of the jar, followed by the cooked pasta, then the greens like cucumber, lettuce and onions. Also, I added some crispy chicken slices to make it more satisfying and filling. Apart from this pasta salad in a jar, I also baked some pigs in a blanket which I could just reheat in the microwave anytime I wanted to have a quick snack. I think it's all worth it. 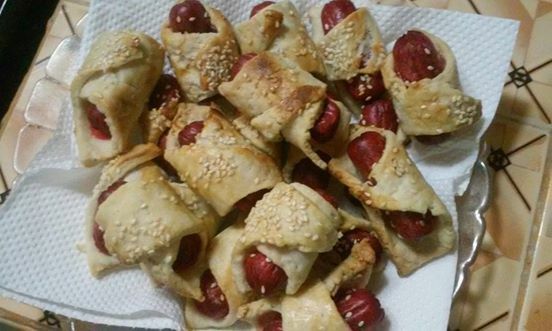 These pigs in the blanket is so easy to make and you can stock it up for few days consumption. Just reheat in the microwave and you're set to go. These are just few ideas, more to share soon. Outdoor Living: Is Rural Living Right For You?